The chocolate-box gorgeousness of some Cotswold villages for example: Bampton (the real-life Downton Village) and nearby Burford can look exactly as if imagined by an American director making a film about quintessential England, or Clovelly in North Devon which ticks all the boxes of a beautiful fishing village. 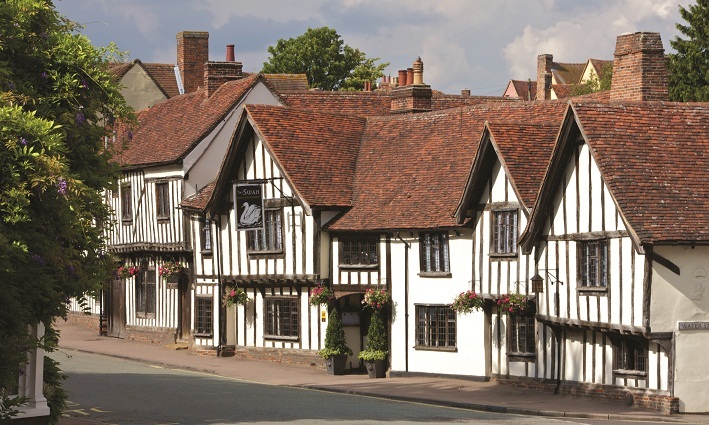 Lavenham in Suffolk is much the same. 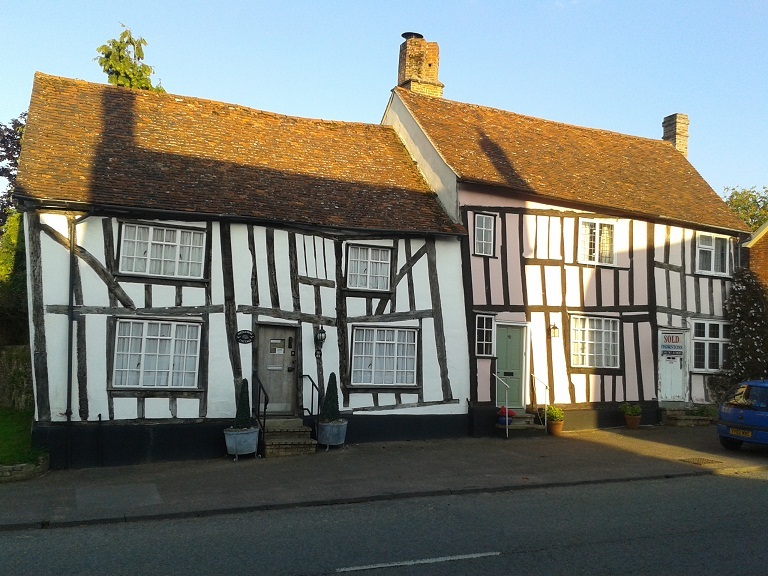 After a perfectly fine if mundane journey along the A1141 or whatever road has taken you there, you suddenly find yourself in a village so packed with crooked cottages and half-timbered buildings that you feel as if you have been suddenly transported back to medieval England. 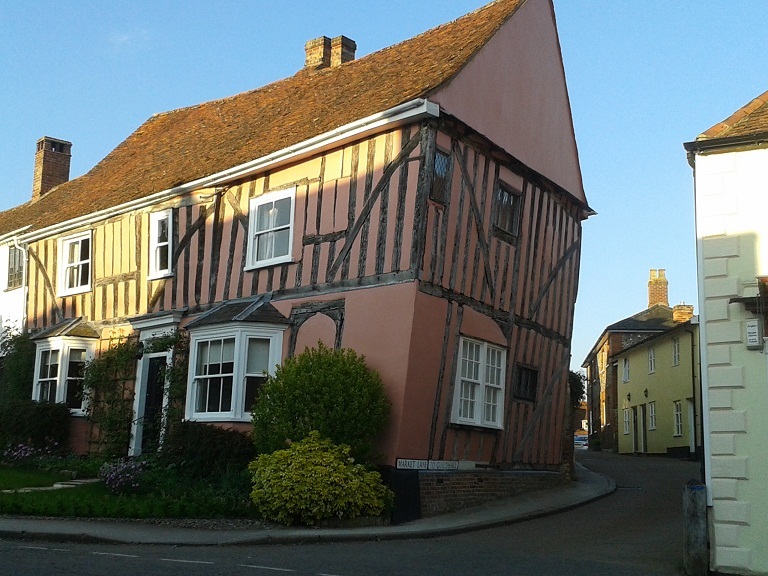 (Or magical England – some of the Harry Potter films were shot here). You could never accuse Mark Warner of skimping on the apres-ski hospitality – or, for that matter, the pre-ski and the in-ski. 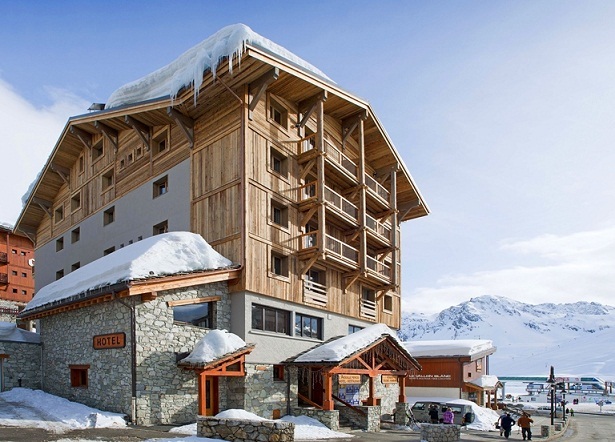 A three-day trip to French Alpine ski resort Tignes to check out its newly refurbished chalet hotel, the improbably-named Aiguille Percee, was notable for epic amounts of drinking, dancing, eating and yet more drinking. In between drinking sessions there was some rather fabulous skiing, which also included a fair amount more drinking. The scene was set from the beginning. Even before the tyres had started turning on the 2.5 hour coach transfer from Geneva airport to Tignes the first bottles of wine and beer were being opened. (The return trip was a rather more sedate affair, with several passengers having partied so hard over the long weekend that frequent stops to ‘take in the air’ had to be made on perilous hair-pin bends and people started to worry we were cutting it fine for the flight. To render hard-drinking members of the press and travel industry in such a state is tribute to the press team’s dedication to the cause). 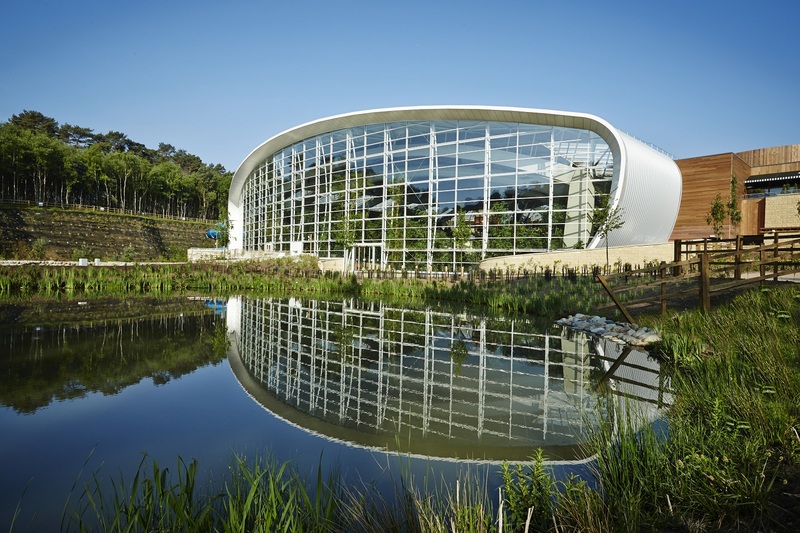 Center Parcs is practically immune from criticism. With occupancy running at a staggering 97.2 per cent all year round, the private-equity owned leisure company is the envy of its peers. In spite of the recent kerfuffle about high prices during school holidays, there is clearly no shortage of customers willing to fork out for the Center Parcs experience when just three nights in a two-bedroom lodge can cost £900 in August, even before food, drink and any of the extra activities are taken into account. And that’s the cheapest price available – a four-bedroom luxury lodge for the same weekend in August will set you back £2,699 and rooms are already selling out. So clearly it is doing something – no, a lot of things right. I was dining at the Fischers Fritz restaurant in the Regent Berlin, and had already been thoroughly over-excited at the arrival of my pre-dinner drink in the hotel bar. 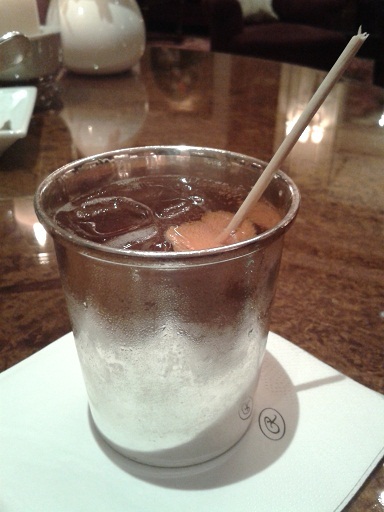 This was a Prince of Wales cocktail, a €23 Champagne cocktail which contained liberal servings of cognac and Grand Marnier, topped off with Angostura bitters and brown sugar and served rather incongruously in a silver goblet which grew almost freezing to the touch as the ice inside melted. It’s amazing how quickly you can feel like a ‘local’ while staying somewhere completely new to you. For me it was when I came back from a trip to the supermarket with some eggs and milk and let myself in at my own front door with my own key. 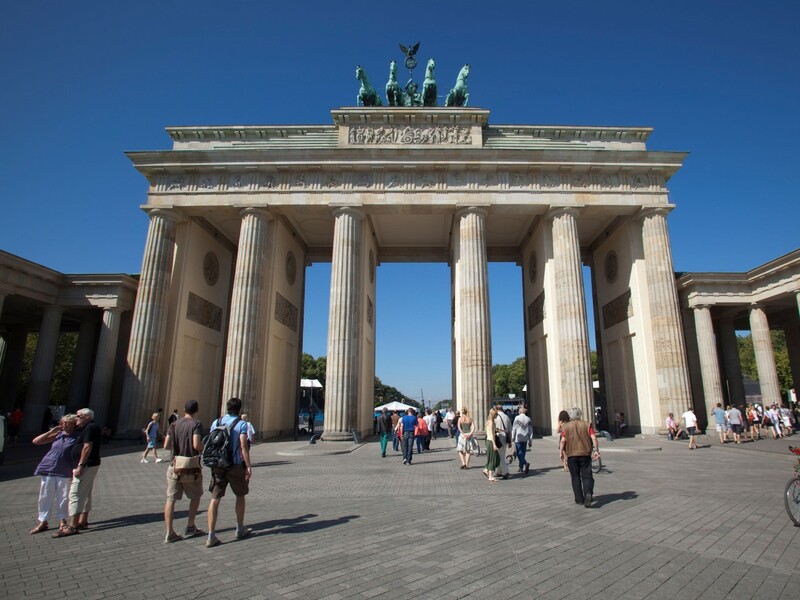 It was only an hour since my plane had landed in Germany but I was already – in my own mind at least – a regular part of the neighbourhood.